The Jackson Plan by OnSite Homes. This home has a two-story foyer and living room. 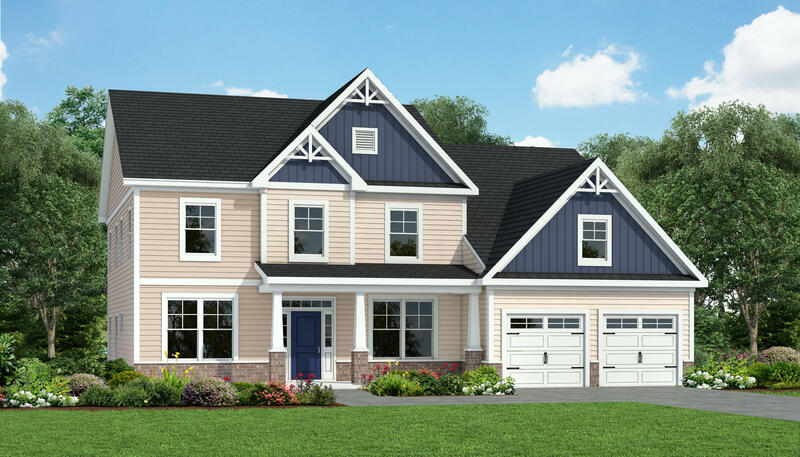 The first floor offers an elegant master suite, dining room, family room with additional large arched window, half bath, kitchen with island and laundry room., as well as an additional Sunroom off the kitchen. Upstairs are 3 additional bedrooms and 2 baths, including a 2nd Master Suite with large Walk-in Shower. This home also features Open Rail with Wood Balusters, a Drop Zone, and a 3rd Car Garage.